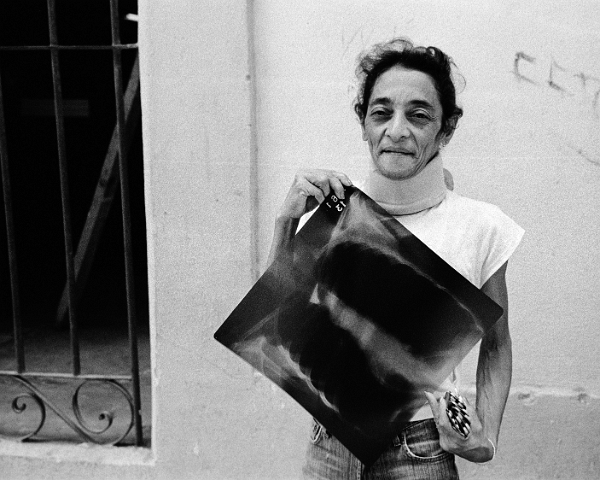 Woman with x-ray, Havana. The Cuban system of universal healthcare is lacking in technology and essential medicines but does have four times as many doctors per resident as the United States. Statistics suggest that a strong emphasis on primary care is yielding slightly better results than the US.